We had been warned about the famous Scottish rain. We had been told that Scotland only experiences 57 totally dry days a year where the ground isn’t soaked with rain. Well. The weather Gods were shining on us. In our 6 days in Scotland we saw rain one day, for about an hour. Give me a bagpipe and call me a Highland Coo, we had gorgeous weather in the Scottish highlands! 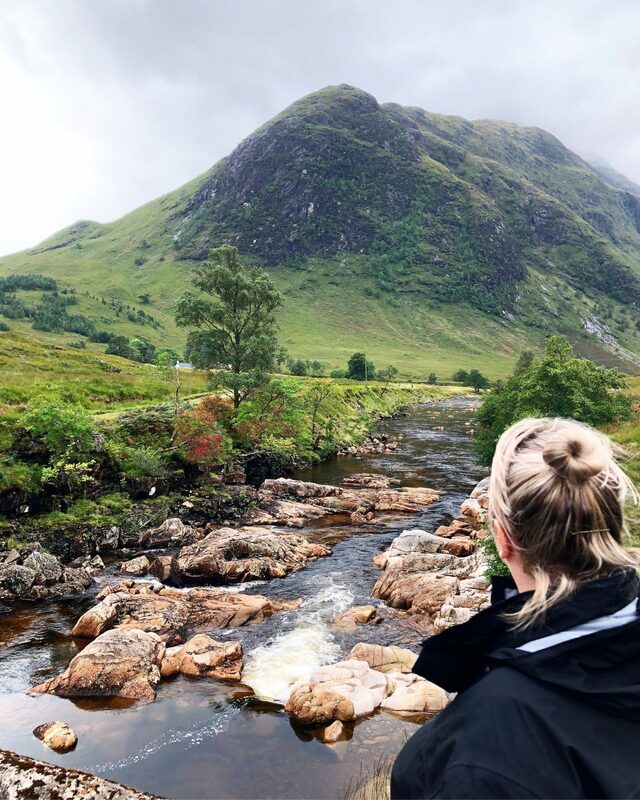 Yayyyyy Iv shared with you our Ben nevis story in this post, Climbing Ben Nevis, so now, let me tell you a little about our road trip in the Scottish Highlands. I decided I would regale you with the stories and tales we learnt about a few of the places, rather than just where we went. I will do a post of our route another time, but let me take you on a road trip with a difference! I love a bit of folklore and horrible history. These stories may or may not involve human sacrifice, a witches warning, a fabled monster and a doomed love…. We decided to go to Scotland via the train (details here) as opposed to flying, for a couple of reasons. Firstly, my sister in law hates flying so she would rather walk than get on a plane, and secondly, everyone said that the train up is gorgeous and scenic, and just easy! They were right. We had decided to go up with Virgin in First Class, and it was lovely as you get more comfortable, roomier seats, a total waitress service, as well as food and drinks all included. The train journey is 4 1/2 hours from London Euston to Glasgow, so meals, snacks and drinks were very welcomed. Its always worth looking at the deals available if you are doing these sorts of train journeys. The price fluctuated constantly, and just by chance, on one of the times we looked, a deal was put on for first class for our dates, so it made it only a little more expensive to travel in comfort. Perfect! 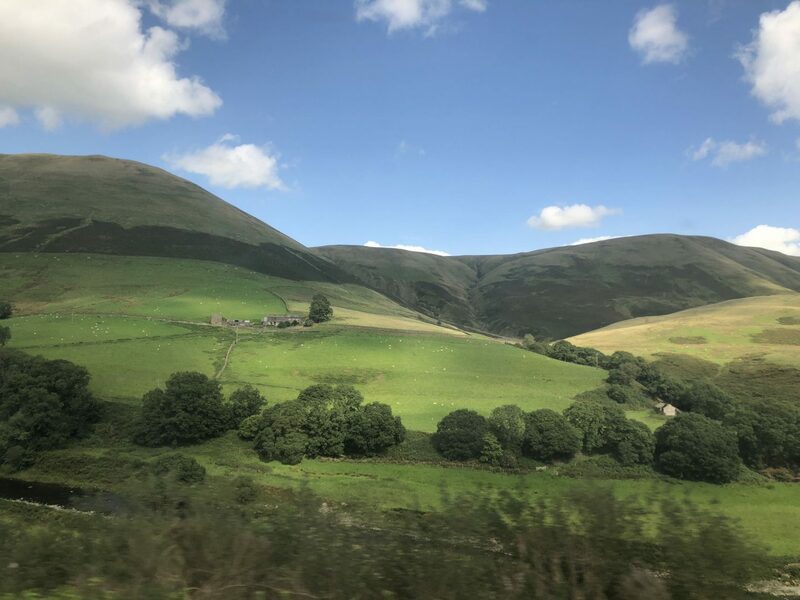 The train journey follows along the canal routes out towards Northampton, then through the Lake District and Yorkshire Dales, and on up to Scotland, so its beautiful open countryside most of the way. A very chilled out way to get up to Scotland. Our road trip in the Scottish Highlands started at Glasgow, and we drove up along the shore of The Clyde. 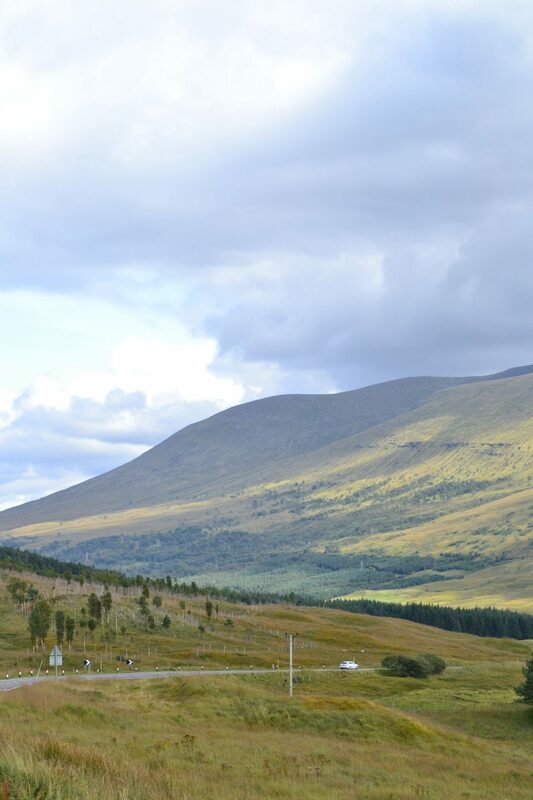 The drive up into the Highlands was just beautiful, and we stopped at so many places along the way. We spent two nights in Fort William as we had our Ben Nevis climb to complete, then onwards up to Loch Ness. I will do a more detailed chat about the full route another time. The Devils Pulpit. Come on in, the water is lovely……. 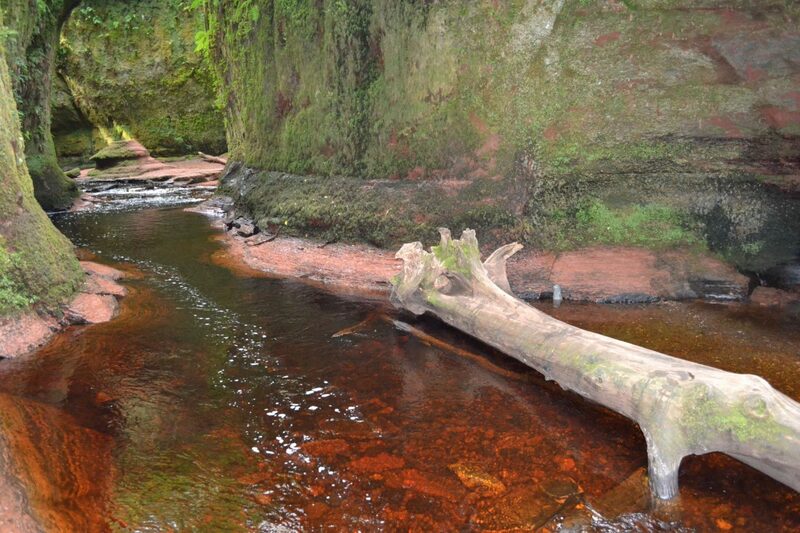 Ok, so the river is actually red because the base of the gorge is formed from red sandstone. Its not the blood of sacrificed souls…The river water flows from beautiful water falls that you can access if you have wellies with you, or are happy to take your boots off and paddle through. Its a stunning location, with so much natural beauty, and once you know where it is, its actually fairly close to the main road. Not scary at all, (I just love a dramatic story), although the stairs down are incredibly steep and slippery. It a great place to put on your “to visit” list if you are around this way. Glencoe is a place of extreme beauty and an absolute must for any Scottish Highlands visit. The deep valley winds through the mountain ranges, and you feel so tiny, so insignificant amongst the mountains. Scotland’s rain ensures that the views stay green, and vegetation flourishes. It is just gorgeous. The various viewpoints that you can stop at to take in the views are so worth it, (and you can get the wonder that is a “tatty scon” from the burger bars in all the view points) its breathtaking. The ever changing Scottish weather means that the skyline and view is constantly changing too. As clouds move over, the mountains darken and colours mute, to reveal the beauty again as the sun breaks through. It was just gorgeous. You do not need me to tell you the story of Loch Ness. 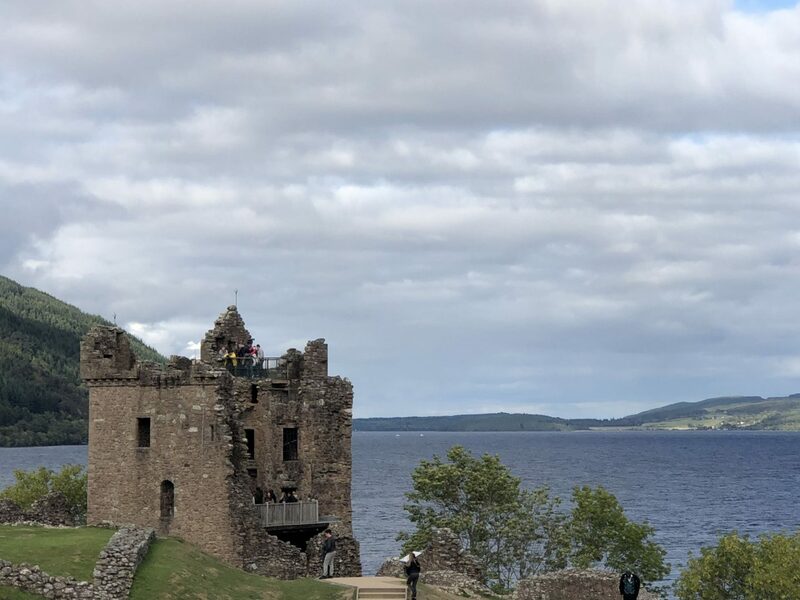 The much told story of Nessie has been doing the rounds for many years, and tourists flock here, hoping for a swish of a giant tail, or a sighting of unexplained ripples in the huge Loch. But did you know that some of Scotland’s history state that Nessie was part of the castles defence? A tamed Loch monster to aid the Scottish in the tug of war with the English over the 13th century castle. It is said that witnesses saw a man being killed by a sea monster in the 6th century, when a simple fort stood instead of a castle. Legend says that St. Columba saved a second man from the same fate. Sightings of Nessie have been plentiful over the years, so who knows….. 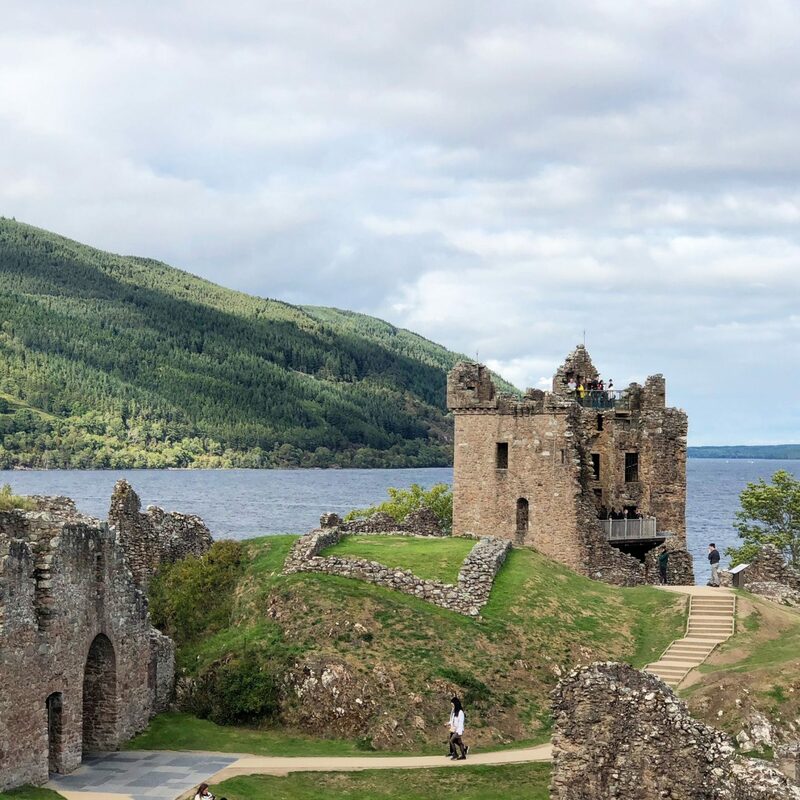 I absolutely fell in love with Loch Ness and the ruins of Urquhart Castle. It is such a unique place. The castle had a fantastic position, looking down the huge Loch, perched high up on the peninsula. Despite there being many tourists here, I found it incredibly peaceful and atmospheric. We explored the ruins, dipped our toes in the edges of Loch Ness, and imagined all the battles and stories that the ruins could tell us. It is just beautiful. The castles history is plentiful. A main player in the Wars of Scottish Independence in the 14th century, then a Royal castle, then its eventual destruction by the owner to name but a little of its cv. You can read all about it here if you would like to know more. I think to fully appreciate this spectacular place, you have to visit. Glen Etive is another of those little known places in Scotland. 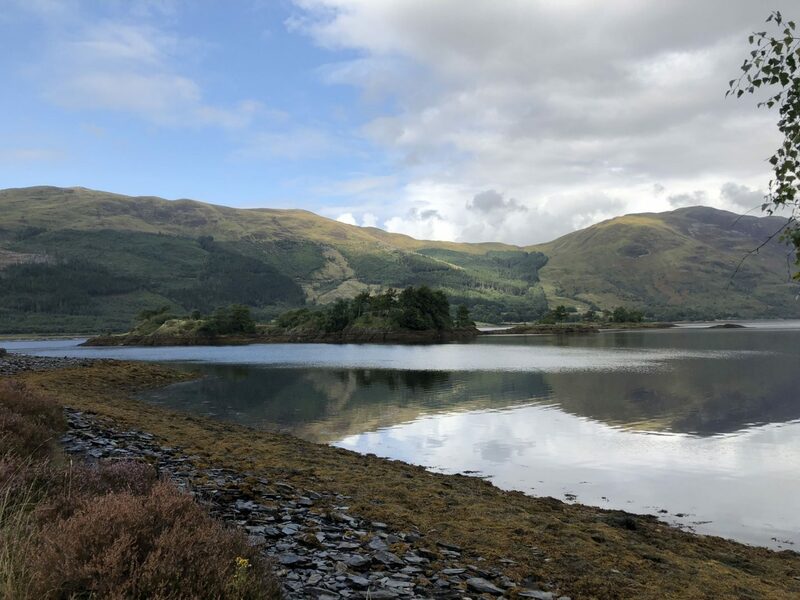 When you are driving South of Ballachulish, you could miss the tiny turning, (as many people do) off the A82 for it if you did not know it was there. It is a 14 mile road to nowhere. No seriously, you travel down the road, the River Etive accompanying you, turn round and travel back again. It goes nowhere. However, I promise you, the 28 mile round trip is worth it. It is just beautiful and if you were condensing all of Scotlands scenery into one place, this is it. Everywhere you look there is waterfalls cascading down the mountains that the road takes you through. Rocks have been eroded to make caves and giant steps. The air is clean. The sound is silence. It was by far, one of my favourite places that we saw. It was grounding and humbling to be amongst the sheer beauty of nature. If you get out for a walk, as we did, make sure you have boots as it is incredibly boggy ground. Now, legend has it that the doomed love of an Irish couple, came to an end in Glen Etive. The beautiful Deirdre, who was taken from her family when a child as the King had decided that he wanted to marry her, had met a young warrior, Naoise. It was said that Deirdre has fallen instantly in love with Naoise, his hair the colour of a raven, and his eyes as blue as sapphires. They knew that the King would kill them, so they fled to Scotland, setting up home in Glen Etive. Their happiness was short lived when the spurned King discovered their whereabouts, ordered them back to Ireland and a bloody battle took place. 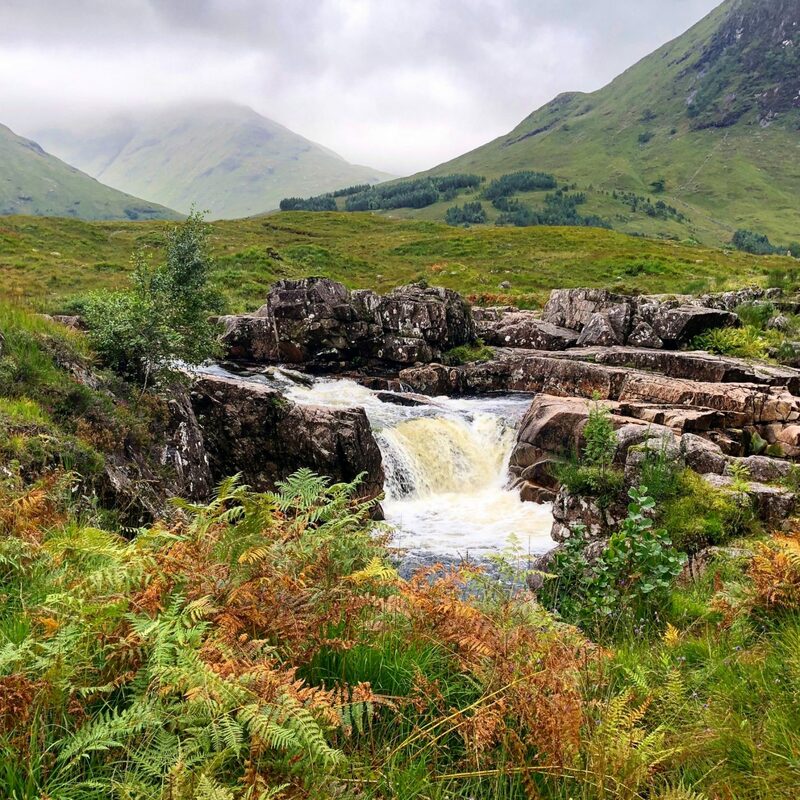 Naoise was killed and poor Deirdre, desperate and full of sorrow, took her own life at Glen Etive, The place that she had been so happy, was where Deirdre of Sorrows as she was known as from that moment on, chose as her final resting place. Well thats it folks! My little road trip with a difference. I really hope you enjoyed it! Scotland is beautiful, I left a little piece of my heart there, and long to return. It surprised me in the nicest way possible. Is there any where that you have visited that you long to return to? Any where that you had pretty low expectations of but it wowed you? I would love to hear your stories. let me know what you think of these legends, and also where you are keen to return to. "Climbing Ben Nevis – Conquering More Than A Mountain"
Kerry! I love reading your folklore tales. And these photos are beautiful. With my new found love for Scotland, you are making me want to go back even more. The stories and photos are lovely! I’m definitely adding Scotland to my list of ‘must visit’ places! Thanks so much for sharing your road trip. You know I love your great storytelling style of writing 🙂 I definitely need to visit more of Scotland, and the train sounds like a great way to get there! So interesting about the Loch Ness monster too!